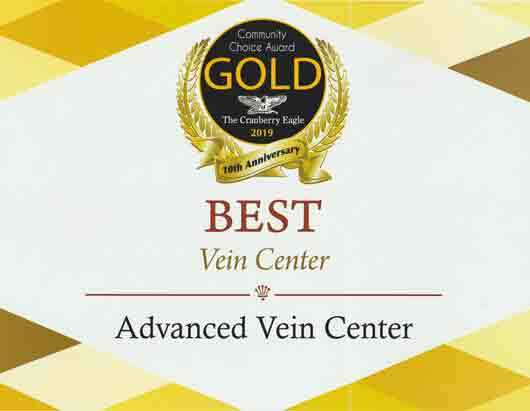 In recent years several new, minimally invasive treatments have come to dominate the treatment of vein disease of the legs. 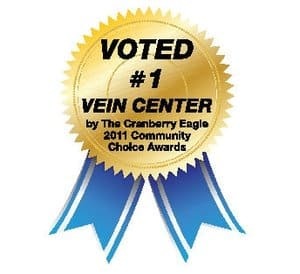 As a class of procedures they’re more efficient, effective, and share almost none of the drawbacks of traditional vein stripping. VNUS Radiofrequency (RF) Ablation has established an impressive track record of safety, and involve very little recovery time. Currently three main technologies have come to the forefront. The first is Radiofrequency (RF) ablation, usually referred to simply as RF or RF ablation. 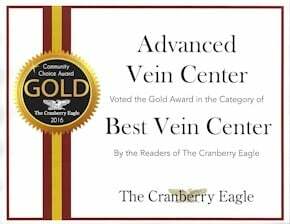 In terms of vein disease, “ablation” means “to close down” or “to collapse.” The second is Endovenous Laser Treatment, usually referred to as EVLT or laser ablation. It’s the second main ablation technique in wide use today. The third technique uses surgical grade adhesive to permanently seal diseased veins shut. 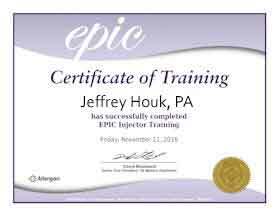 This type of treatment is informally known as “vein glue.” While this may sound unsafe, the adhesives used are exactly the same as those used in brain surgery. Each technique has strengths and weaknesses, yet all are vastly superior to stripping. Of the three, Radiofrequency ablation, RF, is probably the most popular. 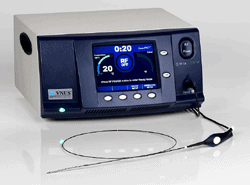 The VNUS® RF Ablation system, also known as the Closure® technique, is now in particularly wide use. It’s designed for safety, ease of use, and has delivered hundreds of thousands of successful treatments to date. 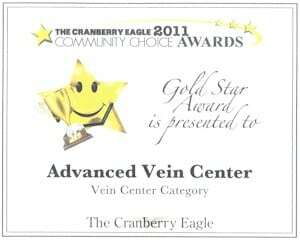 As with all RF systems, it relies on radiofrequency energy to collapse diseased veins. Blood is immediately rerouted to nearby healthy veins, and overall circulation is improved. 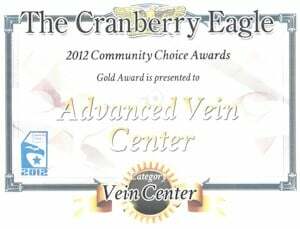 In a matter of weeks, the treated veins are reabsorbed into the body via the natural healing process. 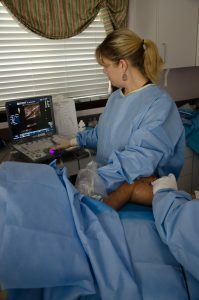 To begin, Doppler ultrasound, which excels at imaging blood vessels, is used to map out a patient’s leg veins. Since Doppler is capable of measuring blood flow it’s able to pinpoint exactly which veins need treatment. Once this is done, a thin, flexible catheter with a heating element at the tip is inserted into the vein. Electricity is then run through the catheter. This is immediately converted into Radiofrequency energy which produces highly focused heat at whatever intensity the surgeon requires. When this heat is delivered it causes the proteins which make up the vein walls to contract and collapse. As the catheter is slowly withdrawn the vein closes behind it, sealing it shut along its entire length. In medical terms this process is known as ablation. As mentioned, blood flow is rerouted to nearby healthy veins, and the diseased veins are eventually reabsorbed. Once ablated, the physical symptoms associated with vein disease lessen dramatically, often disappearing completely. One of the main advantages of the ablation procedures is that only local anesthesia is required. There’s no need for general anesthesia (being put under), so a hospital stay isn’t necessary. 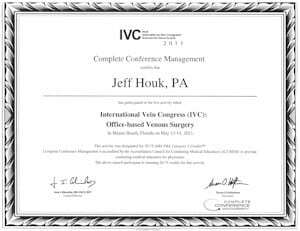 This means that the procedure can be done on location in your surgeon’s office. 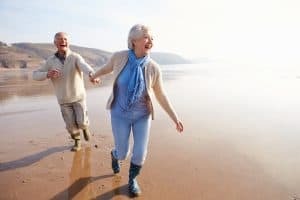 Patients can (and should) walk immediately afterwards, and normal, low-intensity activities can begin within 24 hours. Vigorous exercise can be resumed in about 2 weeks. 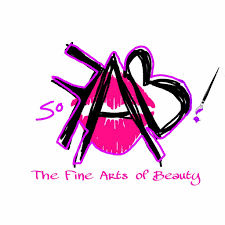 For all practical purposes Radiofrequency ablation has replaced highly invasive vein stripping. Even newer, improved forms of stripping such as PIN (Perforate Invaginate Stripping) can’t compete. With any surgery there’s a small amount of risk involved. Another of the major advantages of RF ablation is the extremely low incidence of side effects and complications. Any that do occur tend to be very mild. The main side effect of this type of procedure include swelling, bruising, and numbness. This numbness is temporary, typically resolves in a few weeks, and only occurs in a small minority of cases. Severe complications such as the formation of blood clots in the legs are possible, yet highly unlikely. This primarily refers to Deep Vein Thrombosis (DVTs), which can sometimes break loose and become lodged in the lungs. This is known as a Pulmonary Embolism (PE), and is potentially life threatening event. Events like DVTs and PEs are extremely rare, and occur almost exclusively in patients entering into the procedure in very poor health.